Need concrete Minneapolis? From Concrete Driveways to patios to steps and floors, the team at A. Pietig has been serving the area for many many years. You’ve probably even seen our signs in your neighborhood! We have already completed thousands of quality installations in the Twin Cities area during the past decade and we look forward to the challenges and rewards of our future projects. Our continued growth will be lead by our commitment to promote this exciting industry through educating the consumer and maintaining or exceeding the highest quality standards. 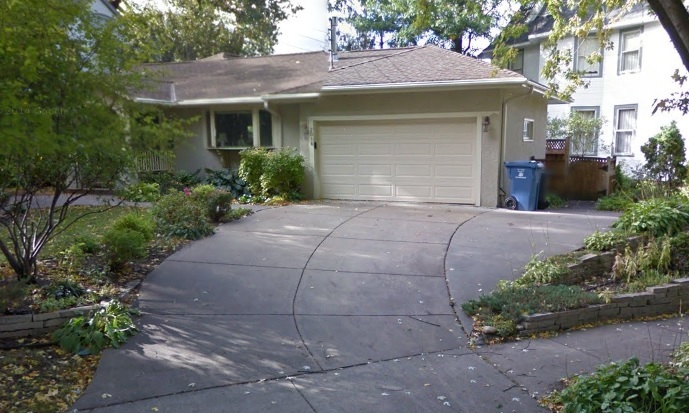 Bill and Susan Huff in Edina, who had a retaining wall, concrete steps, walkway and stucco foundation put in at 4214 Alden Drive. Don and Sue Theimer in Eden Prairie, who had a brick driveway, rear, stone steps and walkway installed at 10404 Spyglass Drive. Tom Salhus of Bloomington, who had a driveway extension, brick steps, patio and retaining walls installed at 10606 Rich Road. Patios are a specialty at A. Pietig. It seems local residents are always looking for ways to maximize their space and enjoy the outdoors. Over the last 15 years we’ve designed many efficient attractive patio spaces for families. We’ve included many galleries here on our site for you to enjoy. If you have any questions about patio design or construction, please call the office today. Our customers are amazed at what can be done with limited space! Call to discuss your patio today! Replacing or adding cement floors has become extremely popular in the last few years. Store, restaurants and homeowners have been adding standard or even decorative floors to their properties. The norm of carpeting the floor in basements is slowly changing. We get many folks calling in asking about decorative floors for basement living areas. A. Pietig is here to help you with garage floors, basement floors, commercial floors and much more. For over 15 years we’ve installed cement floors in Minneapolis. Give us a call today! A couple who had just moved into a house that they had renovated the interior of the home. They wanted a number of services done on the exterior of their home now. They wanted a new concrete driveway as well as extensive work in the backyard. They called us first as we were referred to them by one of their friends who had work done to their home with us. Before we could give the couple an estimate we asked to meet with them at their home, so we could see what kind of work they wanted done in their backyard and for their concrete driveway. We met with the couple the next day. They showed us their current driveway and what they wanted to have done. We then looked over the backyard, and we offered several different options including a concrete patio, paver patio and concrete steps. We gave the couple the estimate and they both agreed it was a great price. They wanted us to start first thing Monday morning. Our crew arrived promptly on time at the beginning of the following week. The crew started removing the current driveway. Once it was removed the crew started working on the base. We then added edge restraints anchored by spikes, so there wouldn’t be any shift. The crew worked on the concrete driveway until it was finished, then they started working on the paver patio and concrete steps. Although this was a big project, we were able to get the job done on time and on budget. Each evening the couple would look at the work that we had done and they both complimented the crew for doing a good job. When we had each project completed for the homeowners, the crew cleaned up all the tools and equipment and let the couple know that we were finished. The couple said the work we had done was phenomenal. The both agreed that our company was the expert in Minneapolis concrete driveways that homeowners could depend on and trust for quality craftsmanship and skilled work. The wife said she was so happy that their friends recommended us, because we went that extra mile to get the job done on budget. She was really happy with how everything turned out, and that our knowledgeable concrete contractors gave them options and solutions that were better than what they were looking to have done in the first place.